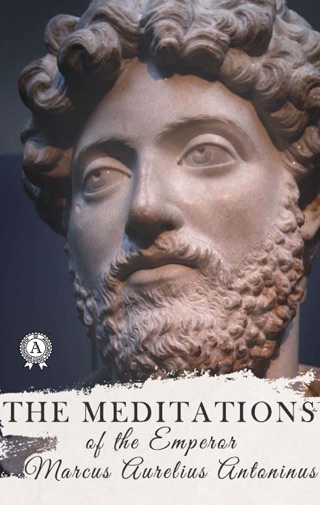 Such is the system which underlies the Meditations of Marcus Aurelius. Some knowledge of it is necessary to the right understanding of the book, but for us the chief interest lies elsewhere. We do not come to Marcus Aurelius for a treatise on Stoicism. He is no head of a school to lay down a body of doctrine for students; he does not even contemplate that others should read what he writes. The Christian, like the Roman, bids 'study to withdraw thine heart from the love of things visible'; but it is not the busy life of duty he has in mind so much as the contempt of all worldly things, and the 'cutting away of all lower delectations.' Both rate men's praise or blame at their real worthlessness; 'Let not thy peace,' says the Christian, 'be in the mouths of men.' But it is to God's censure the Christian appeals, the Roman to his own soul. The petty annoyances of injustice or unkindness are looked on by each with the same magnanimity. 'Why doth a little thing said or done against thee make thee sorry? It is no new thing; it is not the first, nor shall it be the last, if thou live long. At best suffer patiently, if thou canst not suffer joyously.' The Christian should sorrow more for other men's malice than for our own wrongs; but the Roman is inclined to wash his hands of the offender. 'Study to be patient in suffering and bearing other men's defaults and all manner infirmities,' says the Christian; but the Roman would never have thought to add, 'If all men were perfect, what had we then to suffer of other men for God?' The virtue of suffering in itself is an idea which does not meet us in the Meditations. Both alike realise that man is one of a great community. 'No man is sufficient to himself,' says the Christian; 'we must bear together, help together, comfort together.' But while he sees a chief importance in zeal, in exalted emotion that is, and avoidance of lukewarmness, the Roman thought mainly of the duty to be done as well as might be, and less of the feeling which should go with the doing of it. To the saint as to the emperor, the world is a poor thing at best. 'Verily it is a misery to live upon the earth,' says the Christian; few and evil are the days of man's life, which passeth away suddenly as a shadow. 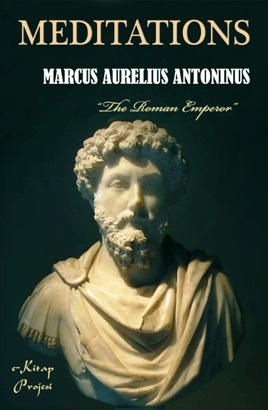 "MARCUS AURELIUS ANTONINUS" was born on April 26, A.D. 121. His real name was M. Annius Verus, and he was sprung of a noble family which claimed descent from Numa, second King of Rome. Thus the most religious of emperors came of the blood of the most pious of early kings. His father, Annius Verus, had held high office in Rome, and his grandfather, of the same name, had been thrice Consul. Both his parents died young, but Marcus held them in loving remembrance. On his father's death Marcus was adopted by his grandfather, the consular Annius Verus, and there was deep love between these two. On the very first page of his book Marcus gratefully declares how of his grandfather he had learned to be gentle and meek, and to refrain from all anger and passion. The Emperor Hadrian divined the fine character of the lad, whom he used to call not Verus but Verissimus, more Truthful than his own name. He advanced Marcus to equestrian rank when six years of age, and at the age of eight made him a member of the ancient Salian priesthood. The boy's aunt, Annia Galeria Faustina, was married to Antoninus Pius, afterwards emperor. Hence it came about that Antoninus, having no son, adopted Marcus, changing his name to that which he is known by, and betrothed him to his daughter Faustina. His education was conducted with all care. The ablest teachers were engaged for him, and he was trained in the strict doctrine of the Stoic philosophy, which was his great delight. He was taught to dress plainly and to live simply, to avoid all softness and luxury. His body was trained to hardihood by wrestling, hunting, and outdoor games; and though his constitution was weak, he showed great personal courage to encounter the fiercest boars. At the same time he was kept from the extravagancies of his day. The great excitement in Rome was the strife of the Factions, as they were called, in the circus. The racing drivers used to adopt one of four colours—red, blue, white, or green—and their partisans showed an eagerness in supporting them which nothing could surpass. Riot and corruption went in the train of the racing chariots; and from all these things Marcus held severely aloof.